Finding breakfast recipes that are high in protein and low in starchy carbs – plus filling and tasty! – can be challenging enough, never mind if you have any type of dietary restriction. For a healthy breakfast that will cut down on cravings, I recommend dishes with at least 20 grams of protein plus fiber, healthy fats, fiber, and a small portion of complex carbohydrates. 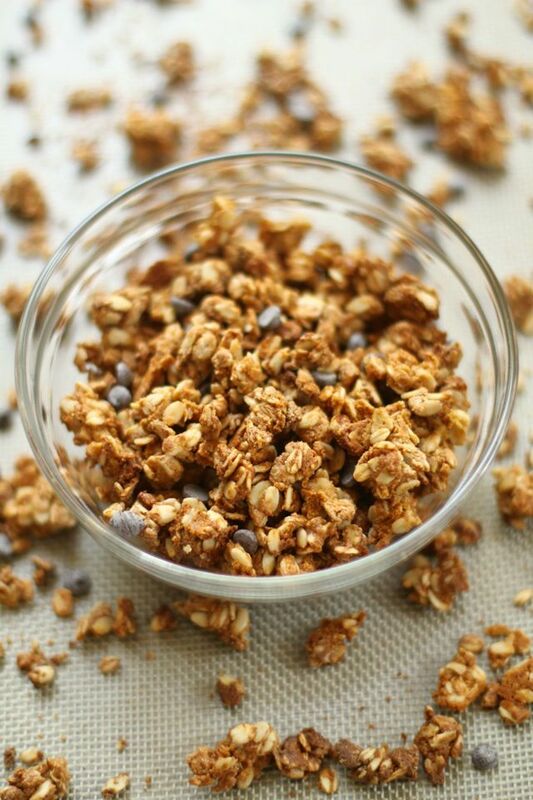 This can be something like eggs, protein shakes, or homemade granola that is high in fiber and protein. But what do vegans eat for breakfast? That can certainly make things a little more tricky. Fear not – I’ve compiled a list of 17 vegan breakfast recipes that are high in protein and simple to make so you can focus less on cooking and more on eating. If you have a sweet tooth, this recipe is perfect for you. 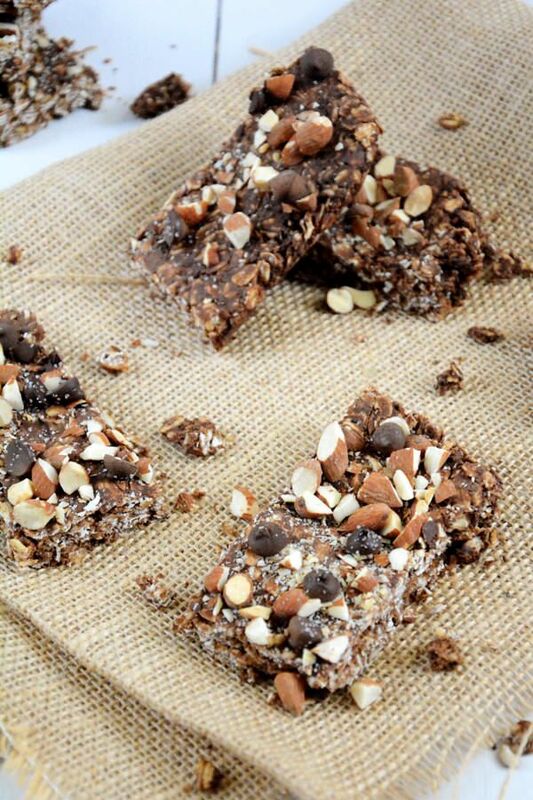 With a combination of chia seeds, oats, cocoa powder, and mini chocolate chips, this delectable breakfast achieves the perfect amount of crunchiness and sweetness in every bite. 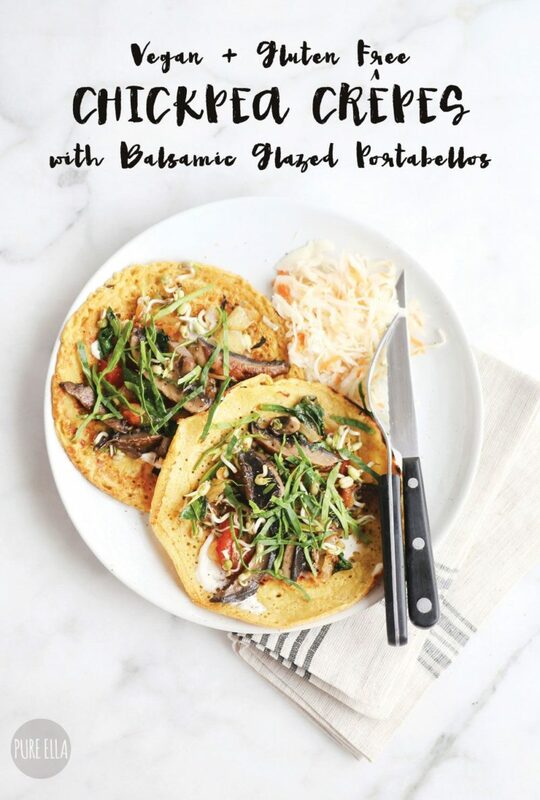 Full of fiber and protein, these chickpea pancakes will leave you feeling satisfied for hours. With ingredients like spinach, tomatoes, bell peppers, and red onions, each bite of these delectable pancakes is packed with nutrition and flavor. Plus, nutritional yeast and chickpea flour pair up to give this recipe a protein-packed punch. Why drink your morning smoothie when you can eat it? 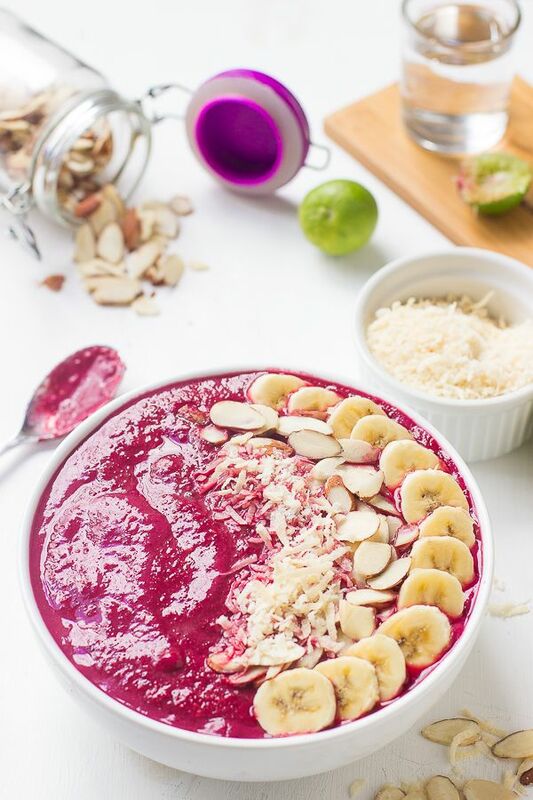 This smoothie bowl is as delicious as it is beautiful. In addition to being a high-protein, low-carb vegan breakfast, it’s also loaded with health-promoting ingredients, like flax meal, almonds, and raspberry. This satisfying vegan meal comes together quickly and easily. Bonus: it’s also super delicious. If you’re looking for a tasty, high-protein breakfast that doesn’t require protein powder or a million added ingredients, this breakfast bowl is the perfect choice. 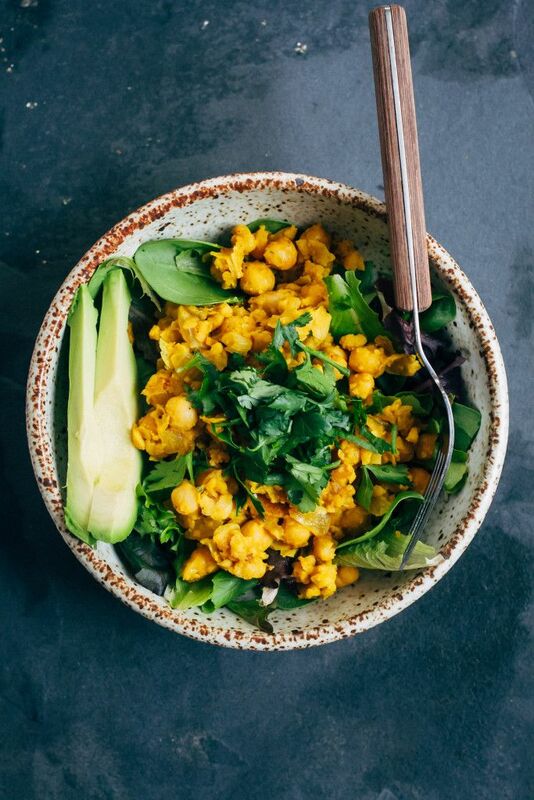 Brimming with healthy ingredients, this bowl is rich in monounsaturated fats from the avocado and olive oil, anti-inflammatory properties from the turmeric, fiber from the mixed greens, and protein from the chickpeas. Pudding for breakfast may sound a little counterintuitive, but this recipe is actually a nutritious and invigorating way to jumpstart your morning. Besides being creamy, rich, and chocolaty, this chia seed pudding is brimming with health benefits. In fact, this chia seed pudding has it all; it’s loaded with antioxidants, omega 3 fatty acids, protein, and fiber to keep you full, focused, and energized. Although these simple chickpea crepes come together in a flash, your family and guests will think you’ve spent all morning in the kitchen. 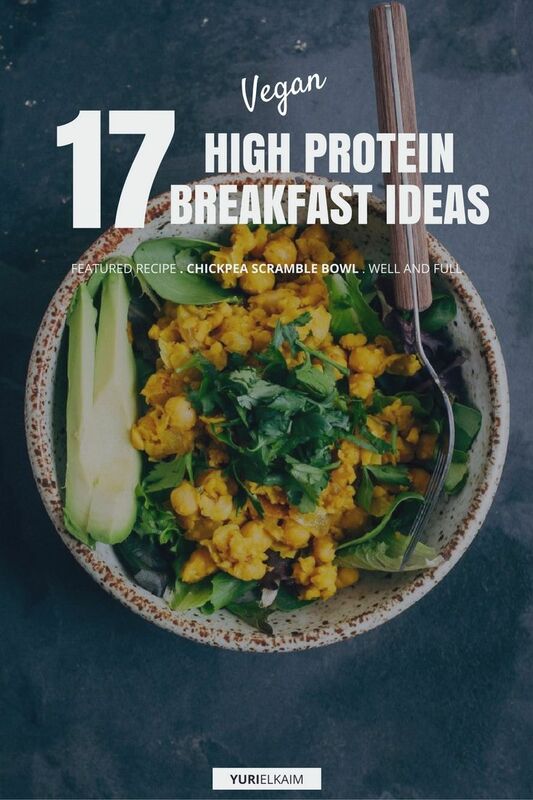 The secret ingredient, chickpea flour, contains a whopping 21 grams of protein per cup. Nutritional yeast and portabello mushrooms help supplement it even more, making this an excellent high-protein and unique breakfast choice. Traditional pancakes may be high in carbs and low in nutrients, but these definitely aren’t. These gluten-free pancakes are healthy, delicious, and super fluffy. Plus, this recipe has a tasty twist: pumpkin, ginger, and plenty of protein. The name of this recipe might seem odd, but it gets a nutrition boost thanks to spirulina, a superfood powerhouse that’s actually a freshwater algae. 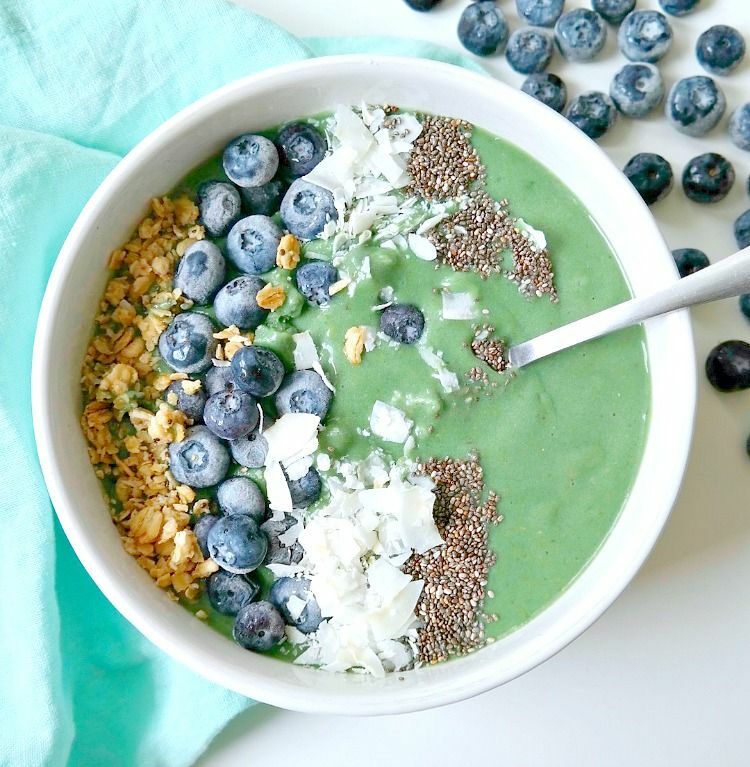 It makes this smoothie bowl is the perfect choice when it comes to vegan breakfasts with protein. Spirulina is rich in protein, antioxidants, and vitamins. This recipe also includes other yummy ingredients, like chia seeds, toasted coconut flakes, and avocado that are sure to make it an instant favorite. Attention coconut lovers: this is the ultimate protein shake for you. This delectable drink is brimming with coconut flavor with ingredients like coconut milk, coconut oil, coconut flakes, and coconut cream. Plus, you’ll feel satisfied thanks to this shake’s impressive 7 grams of fiber and 21 grams of protein. 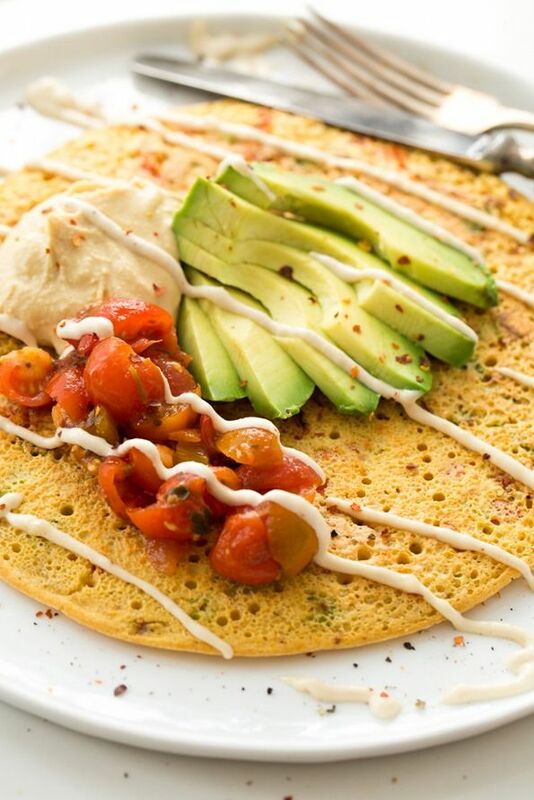 If you constantly find your stomach growling between breakfast and lunch, this chickpea pancake can definitely help. With a generous amount of both fiber and protein, a serving of these pancakes will keep you full and satisfied. Serve with your choice of veggies to bump it up to the next level. For a savory breakfast that will definitely hold you over until lunch, give these breakfast cutlets a try. Red lentils are blended with broccoli to give this dish its distinct flavor. Leave out the breadcrumbs or opt for a wheat-free version to enjoy this totally gluten-free! It’s your childhood dream come true: ice cream for breakfast. 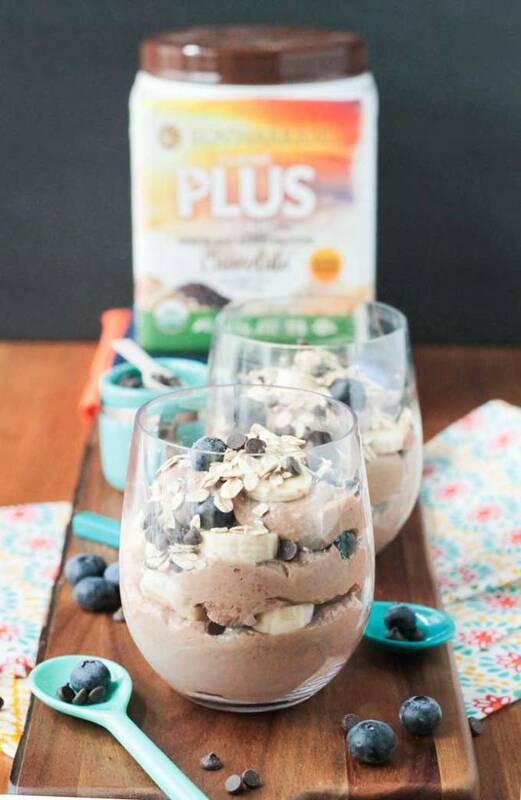 Believe it or not, this vegan take on an ice cream parfait is actually low-carb, high protein, and healthy enough for breakfast. With bananas, peanut butter, and cocoa powder, this is the perfect breakfast to satisfy your craving. Just a few basic ingredients come together to make this breakfast smoothie super healthy and jam-packed with protein. In fact, this smoothie boasts over 20 grams of protein per serving. Among its awesome ingredients are hulled hemp seeds, fresh ginger, almond butter, and rolled oats plus some blueberries, strawberries, and maple syrup to keep your taste buds smiling. 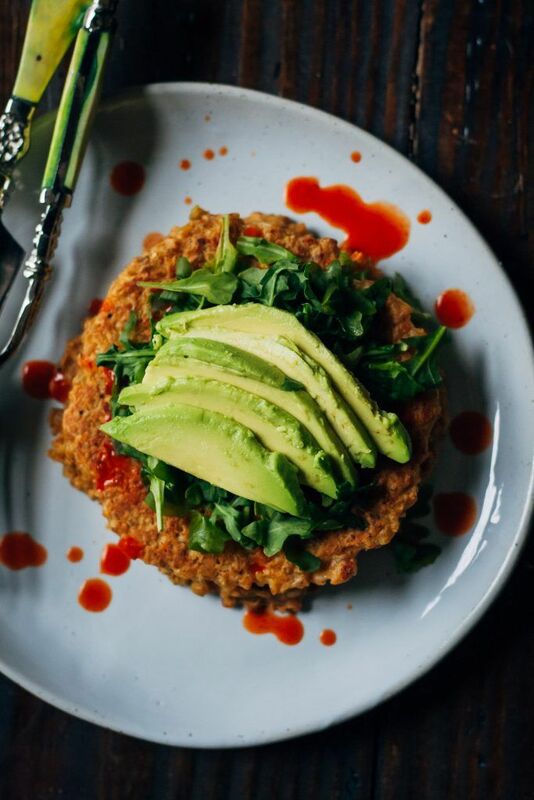 These savory pancakes are one of my all-time favorite vegan breakfasts. Why? They’re loaded with protein and absolutely mouthwatering. This dish is great because it’s so simple and easy to make. With just a few basic ingredients, these pancakes are ready in a cinch. Wake up and start your day right with this refreshing and energy boosting green smoothie! Spices like cinnamon, cardamom and nutmeg give this smoothie a distinct warmth while tossing in a frozen banana adds a bit of slush and creaminess. This recipe delivers a satisfying crunch plus an awesome nutrient profile, making it a perfect choice when it comes to easy vegan breakfasts. Best of all, it all comes together in less than 30 minutes, so it’s great if you’re pressed for time but don’t want to skimp on breakfast. All of these recipes fit the bill for a nutritious (and delicious) first meal: they’re high in fiber and protein to keep you feeling full, and low in carbs to keep your blood sugar (and energy levels) in check till lunch. What better way to start the day than to nourish your body with a nutrient-packed and healthy breakfast? Feeling stuck in a mealtime rut but don’t want to spend hours in the kitchen? Get some inspiration with the All Day Energy Diet Community Cookbook. These 67 mouthwatering recipes are designed with your health (and tastebuds) in mind: gluten-free, dairy-free, and low in allergens, each recipe takes only about 15 minutes to prepare.